Everyone is afraid of it. 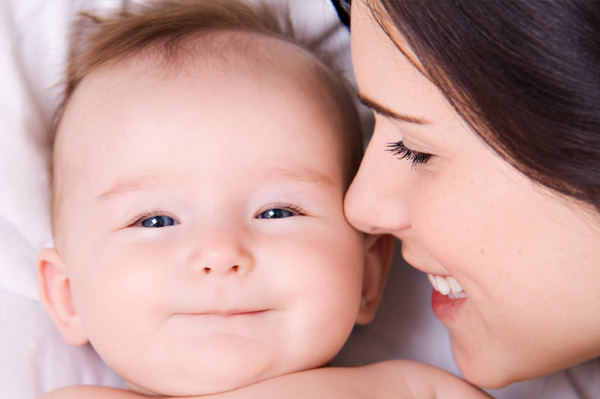 Sometimes so much that it can prevent parents from treating their baby's acid reflux. So we thought it would be a good idea to start this page by clearing up some misconceptions about it. The battle is a symptom that is present before treatment which is the reflux disease itself. Acid reflux disease or baby reflux is an acid battle and one that your baby is losing. It is the body fighting against any form of acid control treatment. Most acid battles get resolved in 2 weeks. Effects of uncontrolled acid (damaged tissue) and healing can take anywhere from 1 to 10 days. The acid battle is when the treatment you are giving your baby goes to work. It is a good thing because the treatment, such as the use of a proton pump inhibitor, is reducing the acid in your little one’s belly. The acid battle is the nature of the stomach (the body) trying to fight the inhibition of the acid. It is natural human physiology. The body tries to overcome the acid inhibition and this may be for a few days or up to 14 days; but the battle can be won by the correct dosing of the PPI (as suggested by a qualified medical care practitioner). Not all babies will go through this process when you begin treatment on a proton pump inhibitor but if your baby does, here is a great explanation of what to expect. It's very important to remember that if you are not dosing the correct dose and dosing regimen for your baby then you could be keeping your baby in a constant acid battle. Your doctor and the Marci-Kids dosing regimen will help you determine that dose. Acid reflux by its very nature involves spitting up. If your little one is spitting up right after the dose of the PPI, then it's most likely related to stomach acid and the buffer coming together in the stomach to make CO2 (this is what makes your baby burp). But babies will sometimes spit up if too much CO2 is made. It means that there's still a lot of acid in the stomach (suggesting that the reflux is NOT under control). The amount of sodium bicarbonate that is in your compounded PPI can make the acid battle worse. Some pharmacy compounds contain WAY TOO MUCH SODIUM BICARBONATE! This can add to the symptoms of acid reflux and the acid battle. That's why it's important to connect with a compounding pharmacy that knows how to make a gentle formulation. You can connect with us for compounding pharmacies we trust. The first few days, as the buffer counteracts the acid. This is when the most burping occurs. When you have so much acid in the stomach and you buffer it, it naturally converts into CO2 and as a gas it wants to escape (which is actually good because that is the acid escaping from the stomach) but it's similar to the chemical reaction of a volcano made with vinegar and baking soda. It can push the contents of the stomach up the esophagus (especially in infants when the contents are liquid). In order to minimize this period called “the Acid Battle" you can wean up to the dose. Weaning up or titrating up and you also should review the PPI Dosing information page to make sure your baby is on an effective dose! Not being on an effective dose could keep your baby in an acid battle! Also, you should always hold the baby upright and burp them to help get any CO2 out (rather than lay them down ) because then the CO2 will push stomach contents up during a battle event and out, i.e. "vomit”. Another way to help ease the discomfort is to use CVS Cherry Supreme one hour before or after dose of the PPI treatment. This page talks about how to administer. With each dose, there will be less acid (hence less CO2 “The Acid Battle”). By three or four days the acid will be greatly reduced. Unfortunately, the treatment of acid reflux in infants is not a one size fits all treatment. But with guidance of our on staff pediatrician and the right compound formulation of a PPI, it can be amazingly effective. How long with the battle last? It depends on whether the PPI dose is sufficient to block enough acid. If it is the average time to get through an acid battle is 2 to 4 weeks. In 2 weeks you should start seeing signs of a reduction in symptoms. If you haven't seen any improvement look over this page to determine what to do next. Although it may be difficult to stick with your dosing regimen you need to give the full 2 to 4 weeks to see results. Also, It's very important to take time to burp your baby. That will help get any CO2 (acid) out of the stomach. Then, and only then, would you lay them down. After a few days of consistency the acid is blocked sufficiently by the PPI and the burping is greatly reduced. So burp your babies well! A Mom Describes The Acid Battle. NIGHT BEFORE new dose: "This is gonna be great, a whole new baby, I'm sure it won't be that bad! Maybe not even have one at all! I've got this!" NIGHT 1-2 "Oh god this is bad. Did I do the wrong thing? It's not too soon to stop? I can turn back now and stop all this, but they say this happens right? Maybe it will stop soon?" NIGHT 7-9 " Okay I think its been a little better?? I'm still not so sure if I'm doing the right thing?" Ok in closing every baby's different and every acid battle is different from what I have seen and been told. But my advice to you is if your dose is high enough and you have just started or have increased dose, be prepared for these thoughts to go through your head and stick it out! Maybe it will never be quite perfect but so much better and it's so worth it in the end! Thank you so much Dr. P. Good luck Mommas!